We have been in business 22+ years and have done over 6,000. jobs - NOW THAT IS EXPERIENCE! 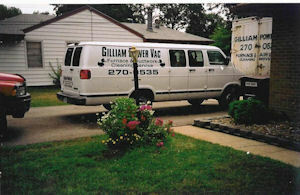 Gilliam Power Vac is a family owned and operated business. Our father and son combo have worked together for over 22 years. We still do the work ourselves to insure the highest quality job possilbe - NO HIRED HELP - just experienced farther and son team - still working together. Mother JoAnn is our office manager. Answering the phone, doing the paperwork, ordering supplies and all that stuff!! JoAnn knows the business as well as Larry and Frank and can answer any questions you may have when calling our office at 515-270-0535 to schedule. 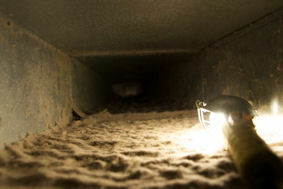 Before starting his own ductwork cleaning business, Larry worked 26 years installing furnaces and air conditioning for one furnace company in Des Moines, Iowa. At one time he worked for a furnace company that owned a vacuum truck - their main reason for having it was to get a foot in the door to sell furnaces, ac, electrostatic filters, etc. 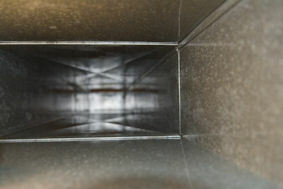 Our only job is cleaning ductwork - not selling anything - just doing the best job possible. In the beginning we used the procedure taught by the company where we purchased our truck and equipment. Larry used his HVAC experience over the first few years to change and improve our cleaning process... testing different methods until we developed our current method which we have used for over 15 years now. 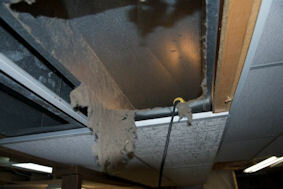 This method was designed and is used exclusively by Gilliam Power Vac.